Kuala Lumpur, January 2017 – Sponsored by Super Coffee, One FM as official radio station, 8tv Chinese New Year Special Drama “Little Lion Dance” 《小舞狮》 will be aired from 13th January 2017 onwards in a 2-minutes footage. The drama will also be shown in 2 minutes spin-off, Chinese New Year Mini drama & Full Version. The casts for the drama included MayJune陈美君 , Eric陈沛江, Wind李诗斌, Bosvin曾重凯, Justin黄子轩, Marco翁宇轩 & Annelise陈郿琪. 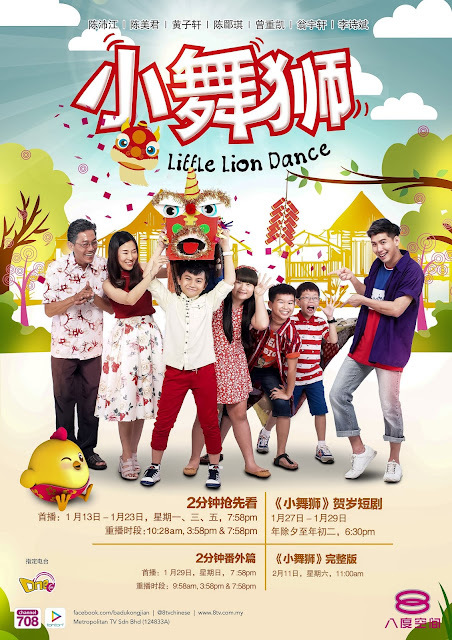 The drama revolves around the story of Uncle Fook福伯 who has been staying alone in the kampung for many years. Every year he hopes that his daughter 美凤 could visit him. Unfortunately, he has to bear with disappointments every year as his wishes never come true. This year, 2 days prior to the Chinese New Year, 美凤 suddenly came back along with her son Lucas. All of the other neighbors are delighted for Uncle Fook as he can finally reunite with his daughter. 美凤 felt guilty for not being able to come home for the past few years. When at the kampung, Lucas met a few new friends including 大头, 阿肥 and 老夫子. 大头 told Lucas that he is lucky as he could have a chance to witness Lion Dance which is usually performed on the 3rd day of Chinese New Year by大头’s brother贤仔. However, 贤仔 who has been jobless at the kampung, decided to give up his usual performance of Lion Dance and went to Kuala Lumpur to seek for new jobs. 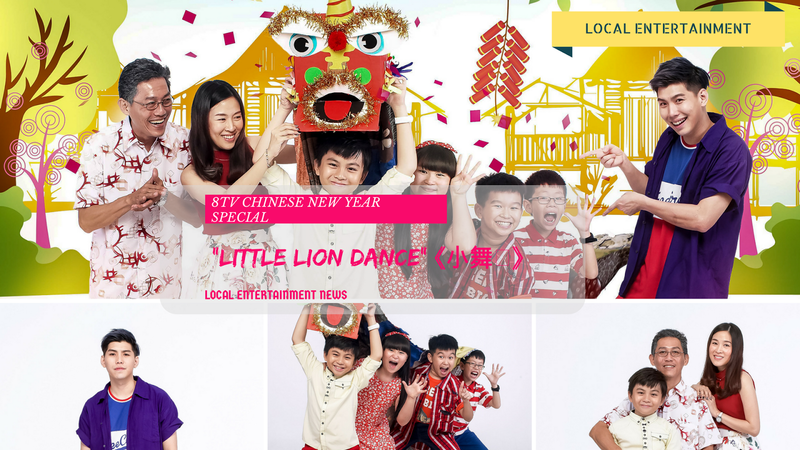 Without Lion Dance in the kampung, Lucas and the new friends felt very disheartened. But, they came up with an idea to solve this issue. What will they do? Find out more via the drama which is airing on 8tv this January. Chinese New Year Special Mini Drama “Little Lion Dance” 《小舞狮》 will be aired from 13th January 2017 until 23rd January 2017, every Monday, Wednesday, Friday, 7.58pm showing 2 minutes early premiere footage. From 27th January 2017 until 29th January 2017, the 30 minutes version of the show will be aired at 6.30pm. In addition, there will also be a 2 minutes spin off footage which will be shown on 29th January 2017, 7.58pm. The full version will be shown on 11th February 2017, 11am. You can also watch the drama via www.tonton.com.my or via Tonton Apps.